Like Bill McLaren, Ted Lowe and Sid Waddell before him, another of the greats of television sports commentary has passed on. 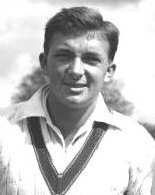 The news in the early hours this morning of Richie Benaud’s death, having had a decent knock (as he may have put it) at 84 years old, was treated with a great deal of both sadness and fond nostalgia across the cricketing world. His death is poignant from my own perspective too. That calm, lilting, slightly deprecating tone has as much to do with my early memories of watching cricket on the TV as England collapses and Geoff Boycott shoving his car keys in the ground. Benaud’s undoubted talent, a talent somewhat lacking in today’s sport commentary world, was to let the sport do the talking. As far as Richie was concerned, less was unquestionably more. Never ask for a statement. Avoid cliches and banality such as ‘he’s hit that to the boundary’, ‘he won’t want to get out now’, ‘of course’, ‘as you can see on the screen’. . The Titanic was a tragedy, the Ethiopian famine a disaster, and neither bears any relation to a dropped catch. Put your brain into gear before opening your mouth. Concentrate fiercely at all times. Above all, don’t take yourself too seriously, and have fun. In anyone else’s hands, that moment would have been either shouting and bawling, or just non-stop chatter. Instead, Benaud lets the scene do the talking – the ecstatic English crowd and players juxtaposed with the utterly dejected Australian team while putting across the minimum information and calmly setting the scene. “If you can add to what’s on the screen then do it, otherwise shut up.” Indeed, Richie. The next little bit of footage is from day 5 of the fifth Ashes Test in 2005. This was Richie’s last live broadcast on British television. It’s announced as such by the chap over the tannoy at the Oval and leads to applause from all round the ground. He starts his little goodbye at 5:01 in the video below, as ever in an understated, laconic fashion. What I absolutely love about this is at 5:58, he shows his wonderfully understated quality as he segues straight from his goodbye to a wicket. At the end of the clip, he just hands over commentary as if an era in British broadcasting hadn’t just come to an end. Not stealing the show, not harping on about previous amazing things he’d seen and done (Clive and 1999 comes to mind), he just says what needs to be said and bows out with grace. The final clip here shows Benaud as a man who believed that cricket was only a game, that sportsmanship was at its heart. As a man who played 63 Test matches, scoring more than 2,000 runs and taking nearly 250 wickets into the bargain, he had more right than anyone to talk eloquently and in a forthright manner about the game he loved. His forthrightness was exemplified after the appalling underarm ball from Australia’s Trevor Chappell in 1981. To briefly fill things in for those who are unaware, in February 1981 Australia played New Zealand in a One Day International in Melbourne. New Zealand needed a six off the last ball to tie the match. Australian captain Greg Chappell instructed his brother to bowl underarm so as to completely avoid a six being scored. In all, a gentleman, sportsman and journalist of class and understated wit. He will be sorely missed.